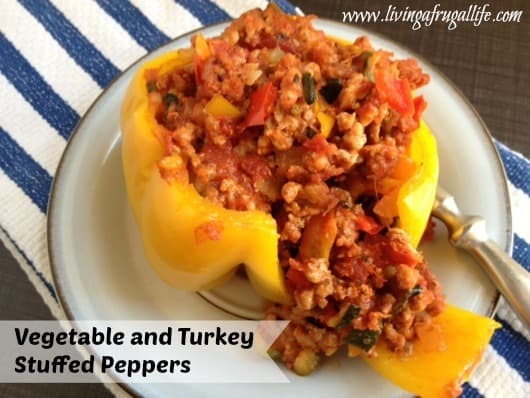 In a skillet over medium heat, heat oil and add onions, zucchini, bell pepper, and ground turkey until turkey is browned. Scoop mixture into peppers until it is just over the top of the pepper. combine remaining tomato paste with juice from the canned tomatoes and add water until thin enough to pour in pan around peppers. Pour into pan. Place in oven and cook for 20 mins.